Manufacturing companies across the greater Mid-Atlantic region count on Gettle for their industrial fire and security needs. Our industry-certified (NICET and ESA) team understands the demands of working in manufacturing environments and delivers turnkey services – working carefully with clients on scheduling and planning – to minimize disruption and downtime. We understand in an industrial environment, every second counts and every decision has a ripple effect across production processes. We offer rapid, on-demand service response and 24/7 support to ensure your service needs are addressed quickly and efficiently. We offer comprehensive system monitoring via a 24-hour Underwriters Laboratories (UL) Listed, Factory Mutual approved, central monitoring station. Our remote monitoring and system diagnostics capabilities provide clients with real-time information and the ability to choose when and how they receive notifications. 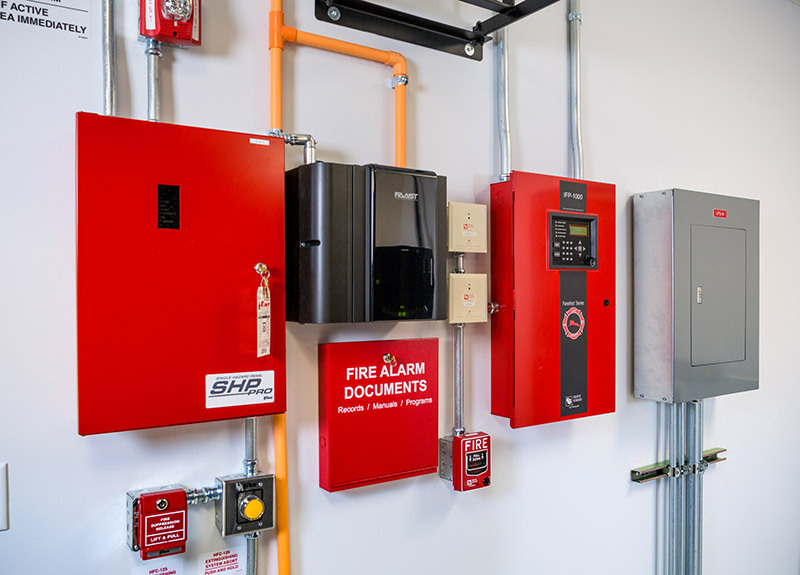 Our full-service capabilities delivering fire protection and security for manufacturing companies is based on delivering maximum value across the project lifecycle. We provide integration with software applications and our multi-division Electrical, Automation and Datacom capabilities ensure systems are optimized across your company’s network infrastructure. Contact us to learn more about how we deliver specialized expertise and added value to manufacturing projects.